condition of moisturizing fully and loosing. 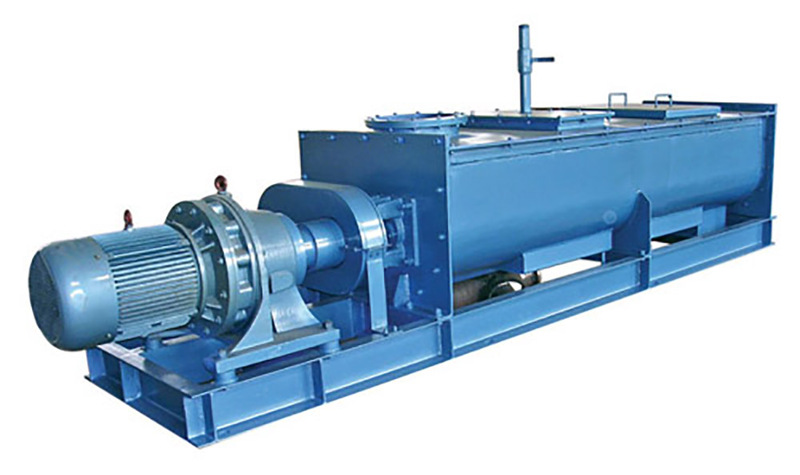 JS series double-shaft mixer belongs to a horizontal and continuous mixing equipment. It adopts positive and negative propeller blades to make the material alternately advance in the ω-shaped cylinder body. It has the characteristics of strong mixing ability and continuous uniform feeding and suitable for mixing and humidifying loose materials. It can also be used as a pre-treatment equipment for powder materials and a certain proportion of viscous additives. 3. The transmission part adopts hard-tooth surface reducer, it is compact and simple in structure and easy to maintain.